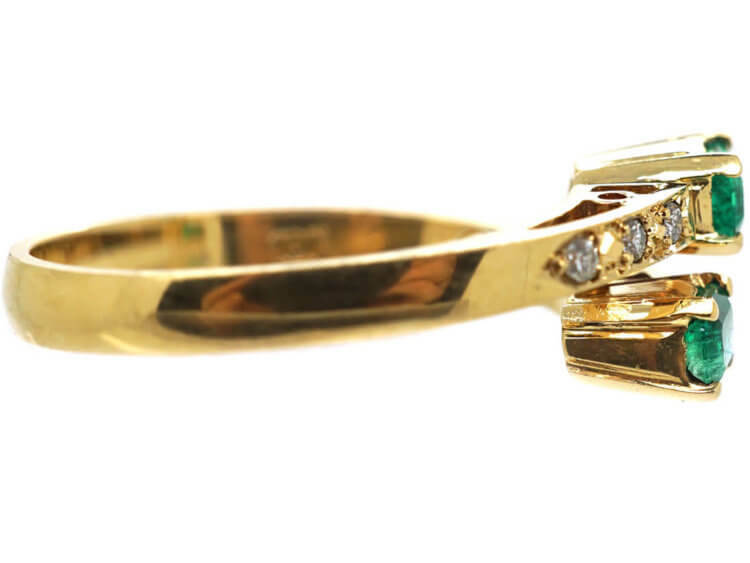 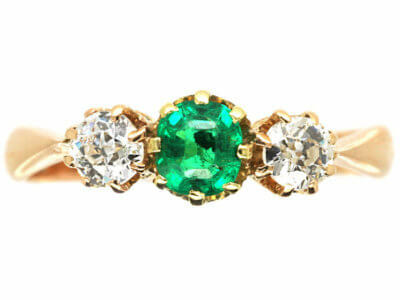 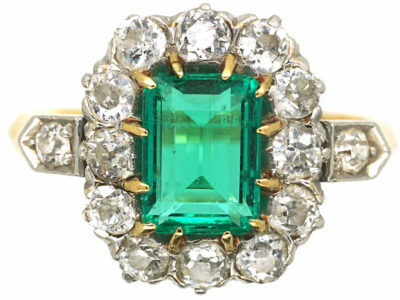 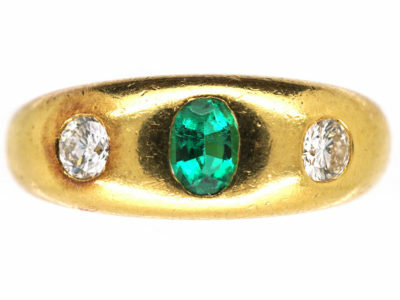 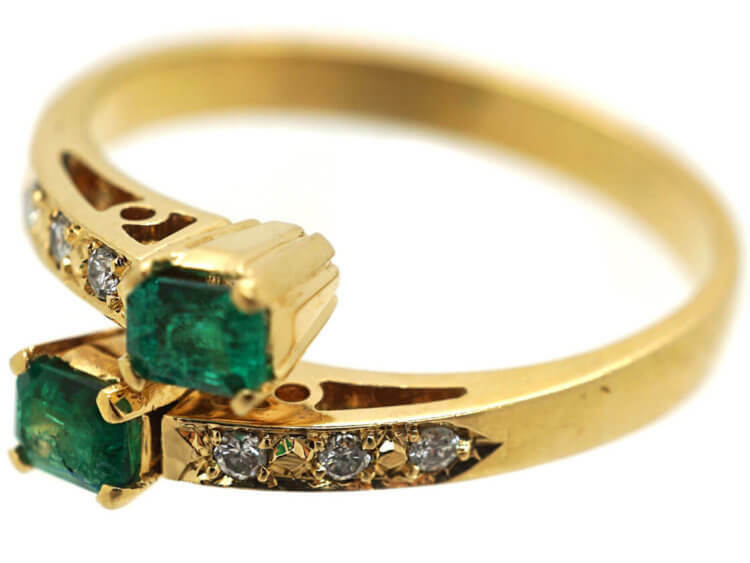 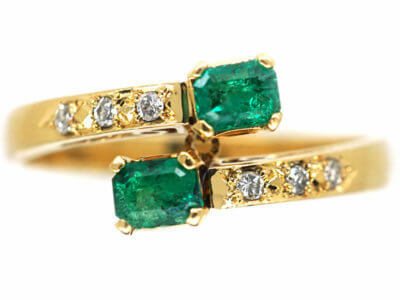 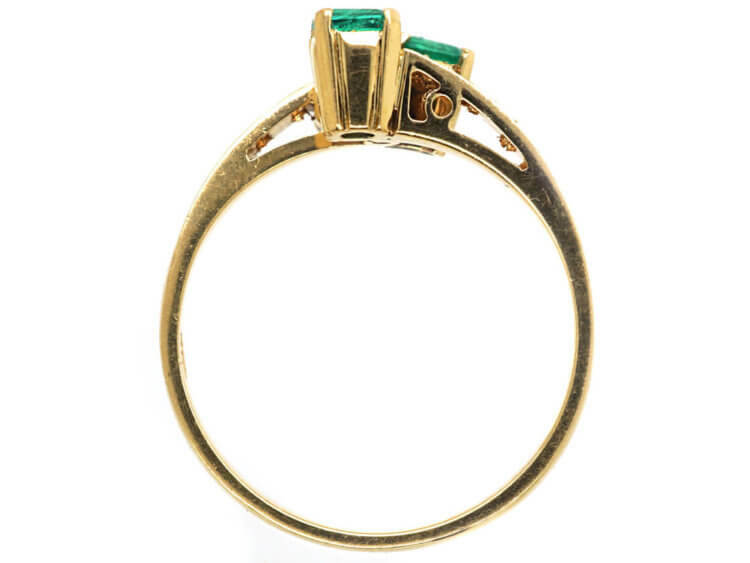 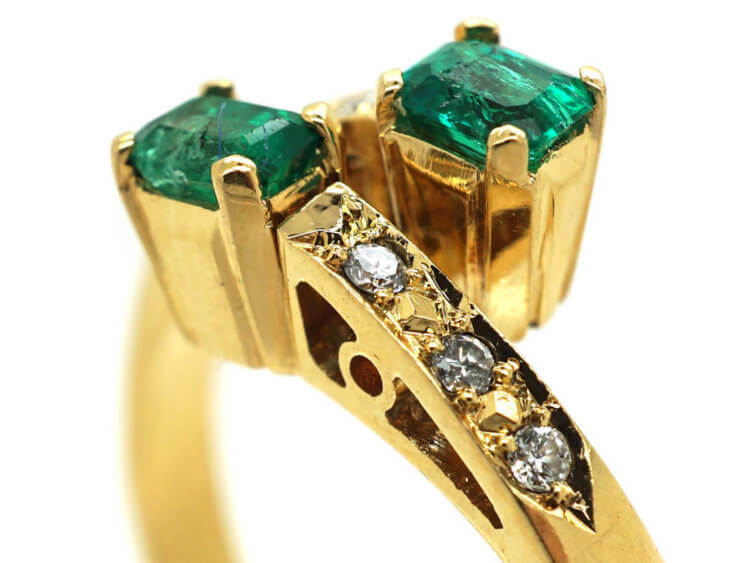 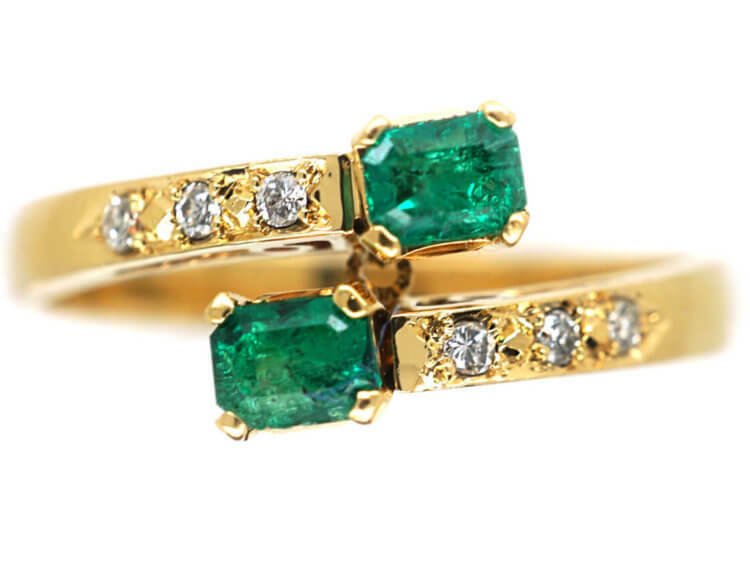 A pretty 18ct gold crossover style ring set with two rectangular emeralds with six well matched white diamonds set in to the shank. 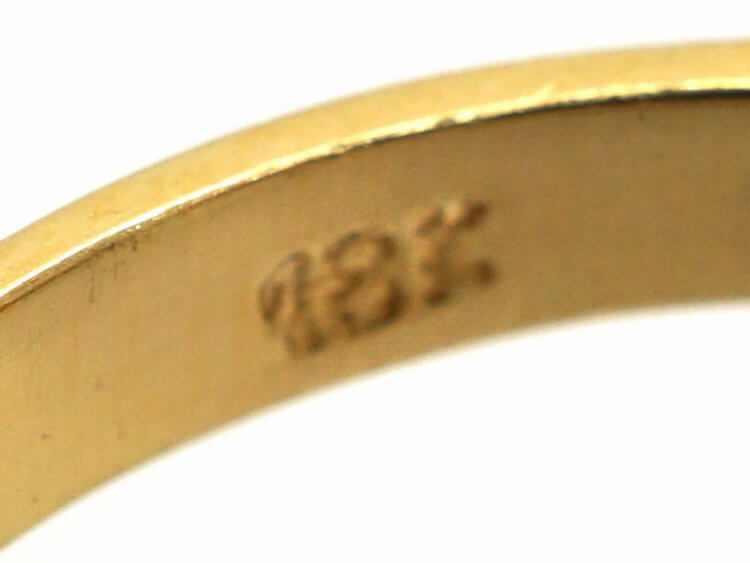 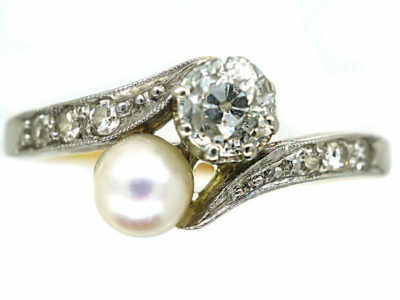 It is difficult to date exactly but it was most likely made in the 1980s. 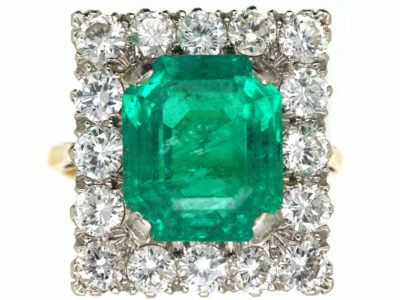 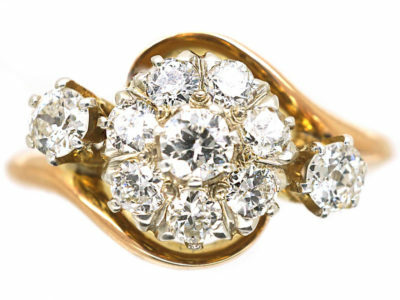 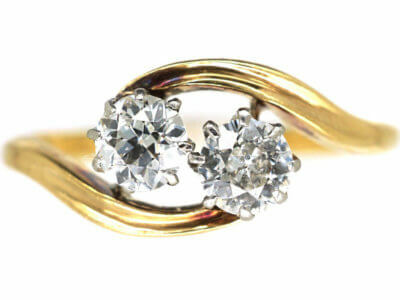 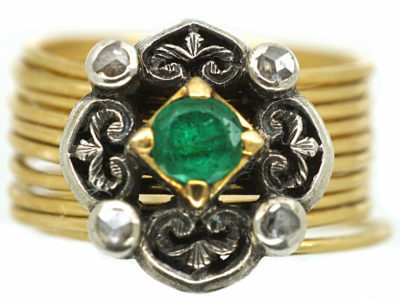 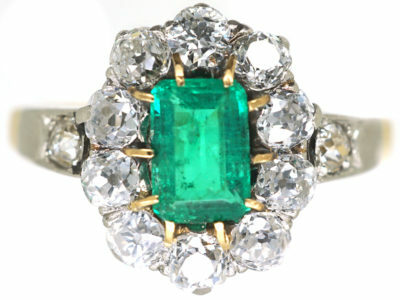 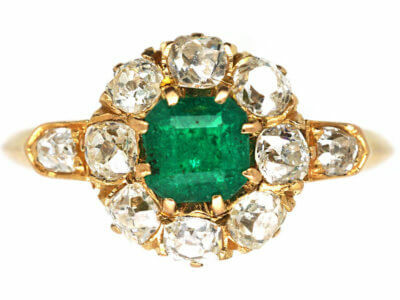 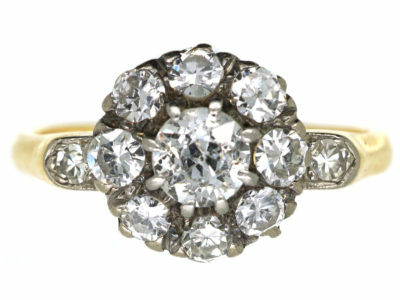 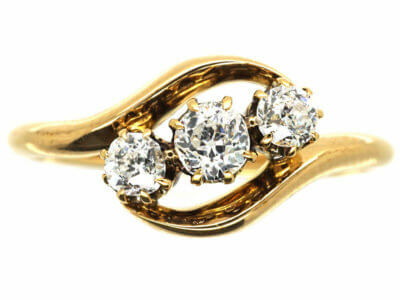 It would be ideal as an engagement or dress ring.